Martek | ODEON Orpington opens! The new 961 seat ODEON is the first cinema in Orpington for more than 30 years. 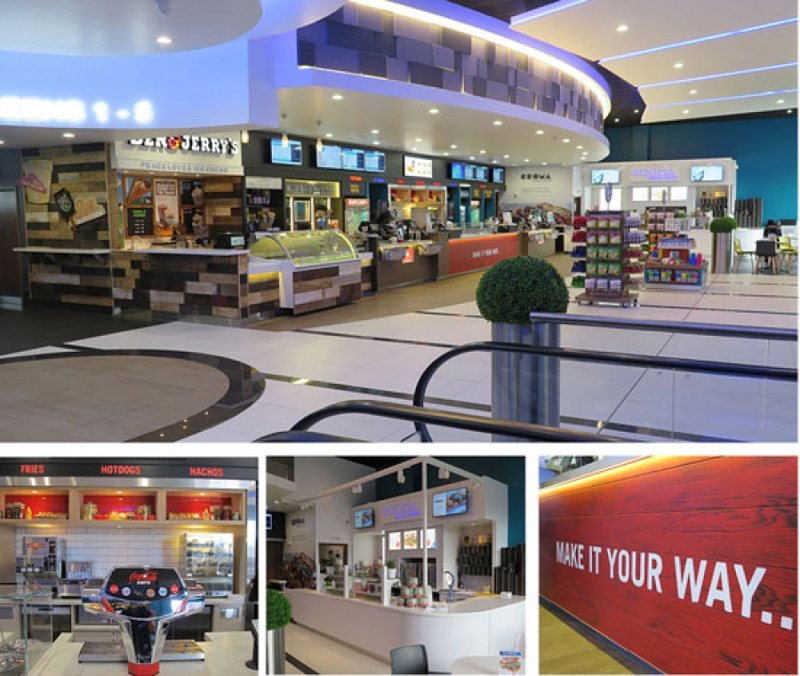 This fabulous cutting-edge multiplex incorporates an ISENSE screen, measuring over 15m x 6m, digital projectors with four times the resolution of standard screens and a Dolby Atoms sound system; for Martek works on the development of the foyer areas included the design, manufacture and installations of all of the joinery elements which comprised the main concession servery, the Ben and Jerry’s Ice cream bar, Croma Pizzeria, Make It Your Way savoury dogs and other confectionery concepts.